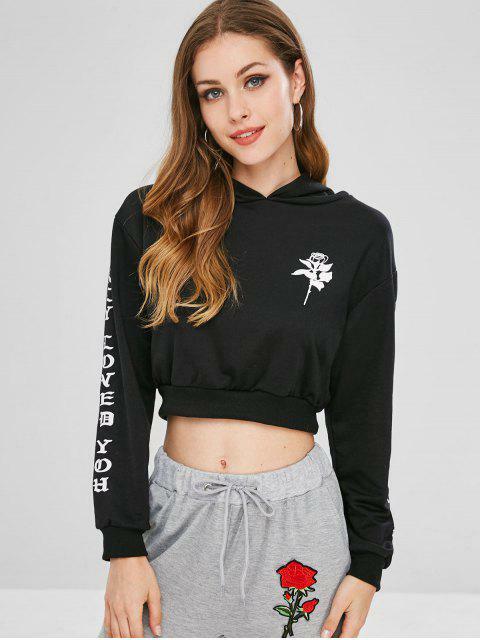 [39% OFF] 2019 Letter Rose Graphic Cropped Hoodie In BLACK | ZAFUL ..
L’article correspond parfaitement aux images. J’adore. Edgy with the signature floral graphic at the chest and the lettering graphic at the sleeves, this hoodie brings a cheeky feel to a casual staple with its cropped fit, which perfectly shows the playful style we've come to love from this hoodie.